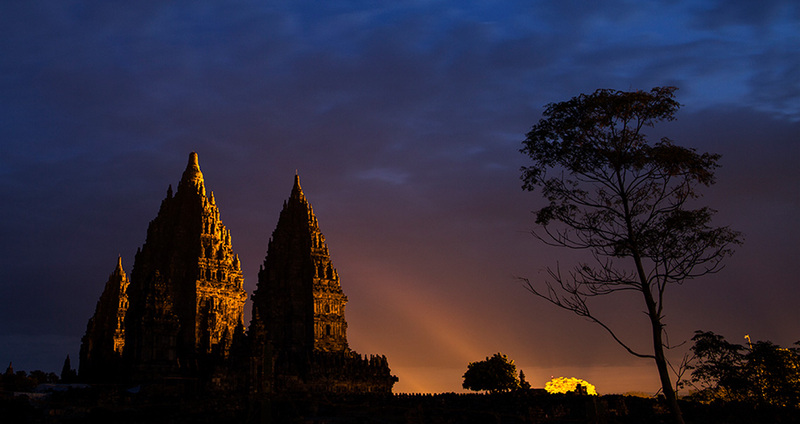 Prambanan Temple is locally known as the Roro Jonggrang Temple, or the Temple of the "Slender Virgin", it is the biggest and most beautiful Hindu temple in Indonesia. The temple complex of Prambanan lies among green fields and villages. It has eight shrines, of which the three main ones are dedicated to Shiva, Vishnu and Brahma. The main temple of Shiva rises to a height of 130 feet and houses the magnificent statue of Shiva's consort, Durga. There are 224 temples in the complex; three of them, the main temples are Brahma Temple in the north, Vishnu Temple in the south, and the biggest among the three which lies between Brahma and Vishnu temples is Shiva Temple (47 meters high).Perhaps one of the most majestic temples in the South-East Asia, Prambanan attracts many admirers each year from abroad.